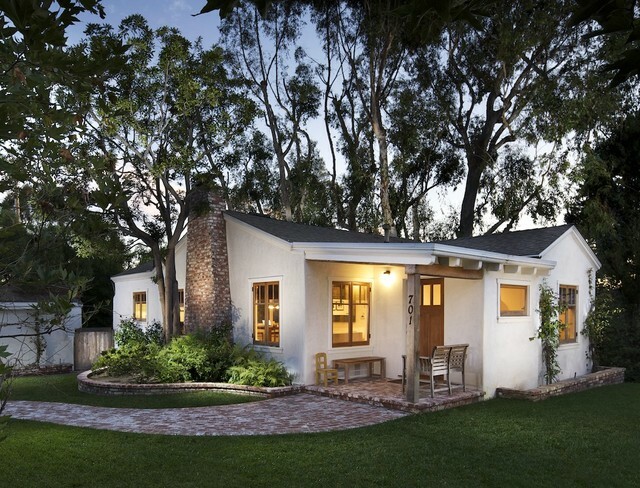 ​White stucco houses can look fantastic and it is one of the cleanest colors that you can choose from. 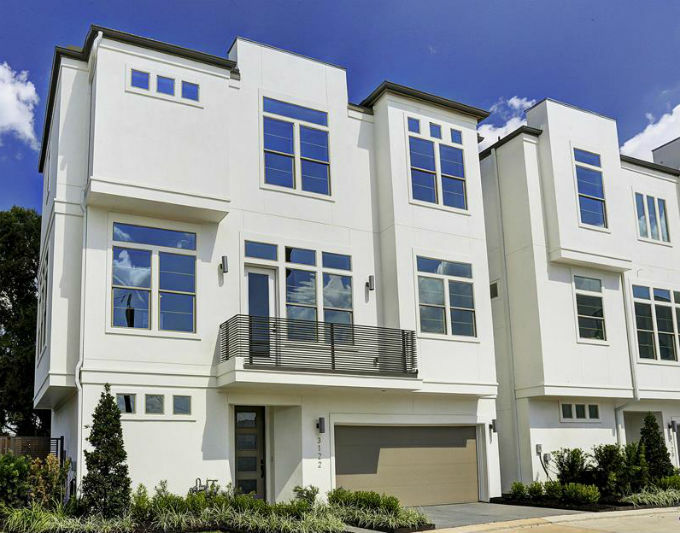 I have seen some awesome examples of white stucco houses and there are certain elements that make the beautiful ones stand out. 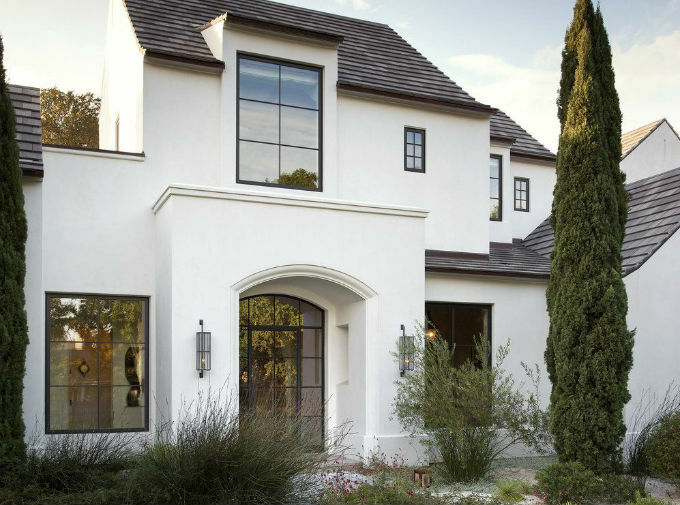 Lets dive deeper into some of the details that make white stucco homes look so beautiful! What Shade Of White Are You Thinking About Going With? ​One thing to keep in mind is that there are different shades of white that you can choose from. 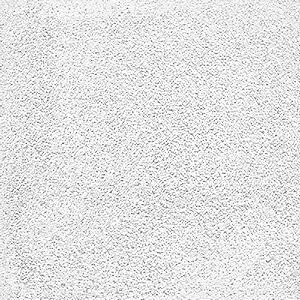 A pure white is often what people have in their mind when they think a white stucco finish but there are more subtle whites available too. Different Manufacturers Have Different "Whites" -​ Some have a yellow tint or a rose colored tint to them but are still a white color. 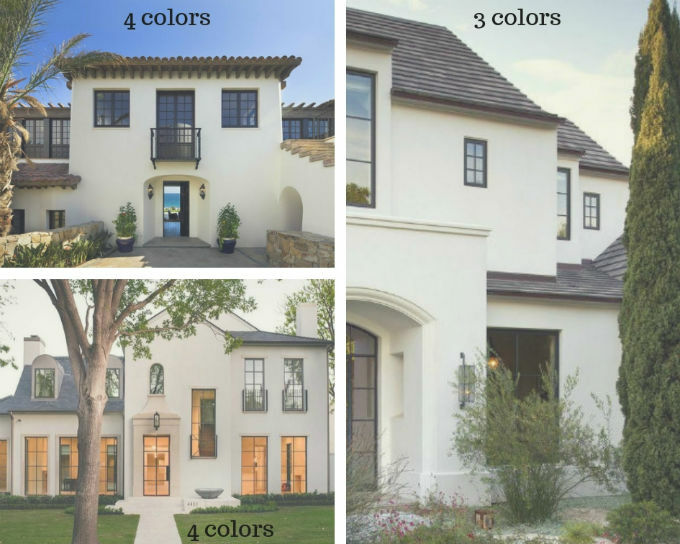 Different manufacturers will have different "whites" to choose from so look at different stucco color charts to compare the different shades of whites. 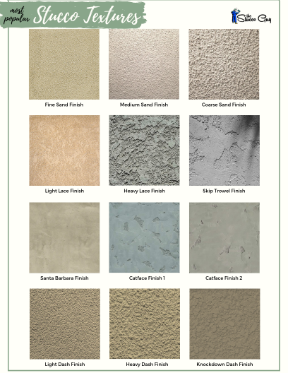 Ask if your stucco company works with more than one company or is willing to apply a different manufacturer's stucco product than what their preference is if you find a color that you like. Some materials may have to be specially ordered if it is not typically stocked. Textures & Color - Remember that different texture will create a slightly different color. A sand finish will look slightly different than a smoother finish in the same color. This difference will not usually be that noticable but it will still exist and is something to keep in mind. 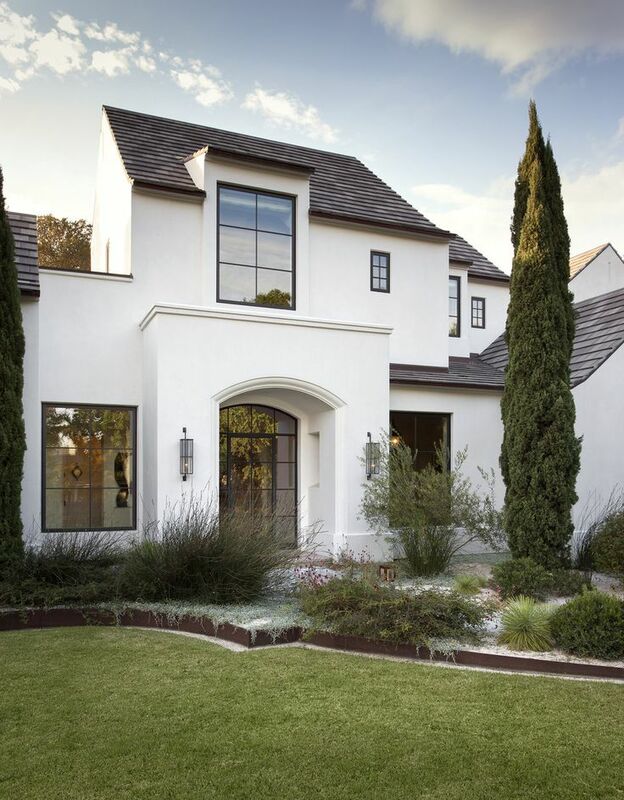 Custom Color Matched Whites - If you find a white color from a paint manufacturer that you really like, you may be able to have a custom color match done and transferred to your stucco finish. Acrylic finishes can usually be custom matched to any color you want but traditional (cement based) finishes are a little tougher to match and you should see if the company or manufacturer can match the specific color in that type of a finish, sometimes they can! ​Get Some Samples! - You can get samples from the manufacturer with the desired color and texture you want and hold it up to your paint colors to see what color will work better for you. You can also have your plasterer apply a couple of samples on the wall for you so you can see it on the house itself. Note that there may be an additional charge for materials and labor for doing this, especially if multiple colors are applied. It helps if the fascia boards, gutters, etc. are already painted so you can hold it up to the wall and get a feel for what each color will look like in contrast to the other colors. 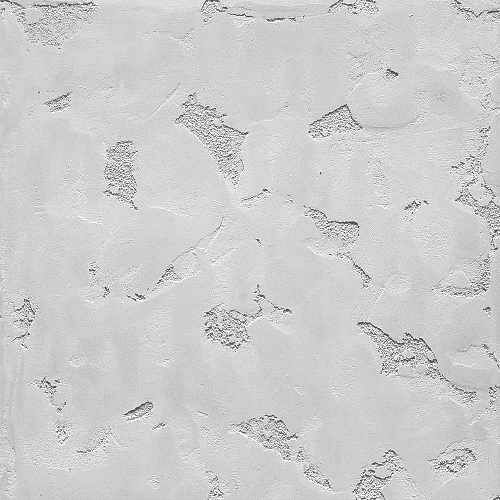 ​The type of finish you use on a white stucco exterior will also be a very important choice and really their are some common ones that work really well with a white stucco finish. What you have to remember is that white is a simple, yet elegant color and the textures that work the best (in my opinion) are usually ​simpler, more consistent ones like sand finishes, smooth finishes, a catface texture with less inclusions, etc. 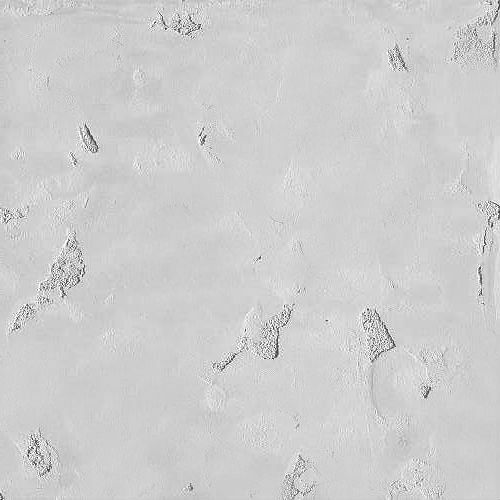 ​​Sand finishes work really well for white stucco colors and you can either choose from a coarse, medium or fine aggregate (sand) pattern to achieve a different look. I prefer a medium to fine sand finish myself because it looks more elegant than a ​coarse sand finish. I would recommend a fine or medium if you are planning on using an acrylic finish and a 20/30 (medium) or 30/30 (fine) finish material if going with a traditional type of finish (cement based). ​Note: Acrylic stucco will use a fine, medium or coarse base that needs to be specified when ordering and traditional finishes (cement based) will use numbers instead (16/20, 20/30, 30/30). Check out the three examples above for clarity. Traditional Finish Material - The cement based finish is usually your best bet when it comes to a smooth finish because it can be worked to a very smooth consistency with a trowel and has the proper characteristics to do this. A Santa Barbara Smooth will work great for a smoother finish with a traditional cement based material and a 30/30 would also work pretty well, as long as it is troweled smooth. Note: Most manufacturers will have a "smooth" base coat to choose from when using a traditional finish. ​Acrylic Finish Material - ​Acrylic is a little trickier to get as smooth as a cement based finish because of how sticky it tends to be. To achieve the best results, you will usually want to use a fine acrylic base (smallest aggregates used) and try to trowel as smooth as possible. Some manufacturers may have a special acrylic product that will achieve a smoother look like Western Blended Products Smooth Acrylic Finish. Western has Coarse, Medium, Fine, Super Fine and Smooth acrylic bases, more than the typical manufacturer and their products can usually be specially ordered if not typically stocked at your local supply yard. ​A catface type of texture is also a good choice for an elegant look and looks especially good with a white stucco color too. You can achieve a catface texture with an acrylic or a traditional type of finish. Remember that a catface texture has inclusions (rough areas) throughout the finish that can be controlled when applying the finish. 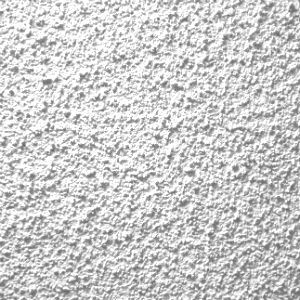 I like smaller sized inclusions and to have a small amount of them showing in the end (90 - 95% smooth) which I think looks a lot better for a white stucco finish. Roof Color Makes A Contrasting Comparison! ​Roof colors on stucco houses are usually almost always a dark color, at least that is what the majority of people choose to go with and it makes for a great contrast too! 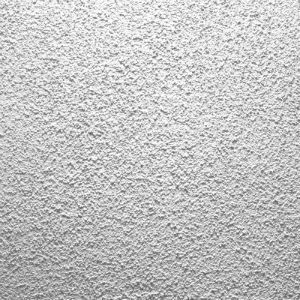 Textures - Textures are also something to keep in mind when comparing roof colors with a white stucco exterior. Shingles will be rougher compared to an ultra smooth metal roof and the color and overall feel will be totally different as well. 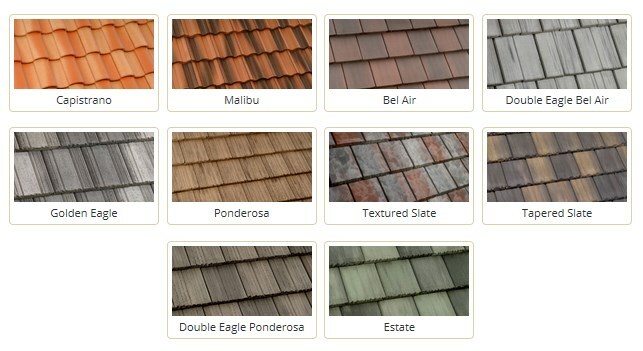 ​Usually a black or darker gray color is chosen when using a comp style roof (asphalt shingles). I have also seen a darker chocolate color look really nice too. There were a couple of examples of lighter grey colors that some people chose to go with but you really lose that "contrast factor" when you do that and everything seemed to blend in, eliminating all of that wonderful contrast. If you are working with a larger budget, it is important to note that there are ​different styles of shingles too that are more architecturally pleasing but these will usually be quite a bit more money than the more standard shingles. Take a look at GAF's website, they have great examples of what I am talking about. ​Metal roofs are a little bit different than asphalt shingles and they have an entirely different look to them, texture wise. The colors of a metal roof will be much different and you will be able to use/have a wider variety to choose from when going with a white stucco exterior color. Darker colors are more popular and are some of my personal favorites but I have also seen lighter colors that work well too. 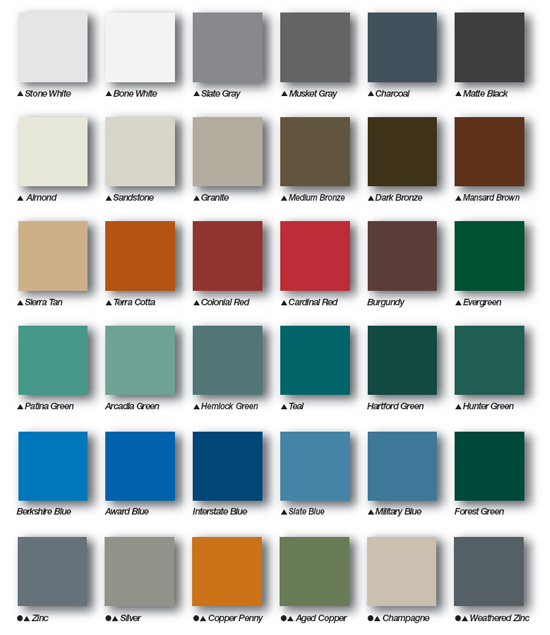 Check out some of the different metal roof colors that are available and you will find a lot of ​inspiring choices! Styles - Remember, there are a couple of different styles of metal roofing out there too. I am fond of the standing seam style and is probably the most common nowadays (or most popular) and is what the three example pictures below are equipped with. ​Tile roofs are one of my favorite styles of roofs because they tend to be on higher end homes and can come in different shapes and colors. There are a bunch of different tile roof colors that will accommodate white stucco walls and you can get a whole different feel for the house by choosing one style/profile and color option over another, like a Spanish look. 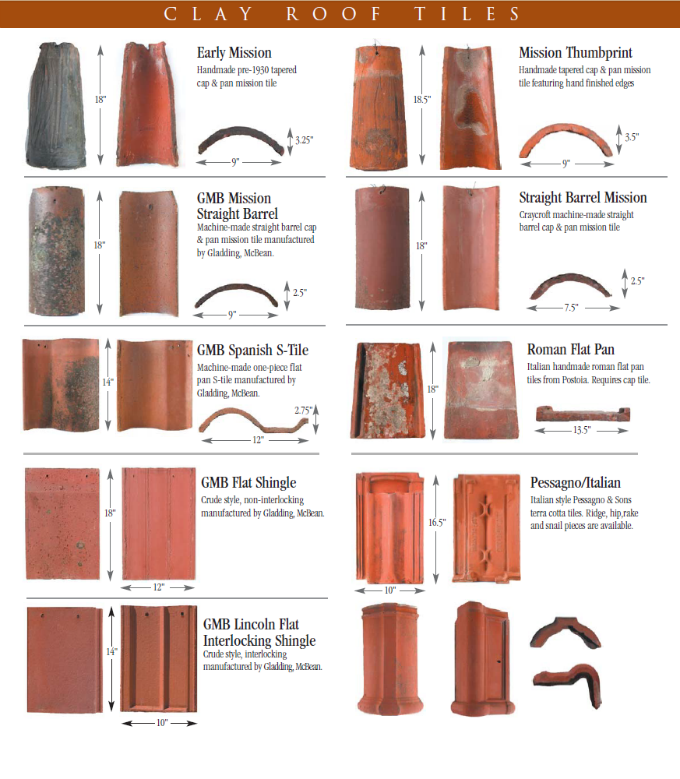 Styles/Profiles - Below is a couple of different profiles of tile roofing examples from eagleroofing.com that are a little more elaborate in design but proves the point of different roof tile profiles having the ability to change the overall look and feel of a white stucco hose. 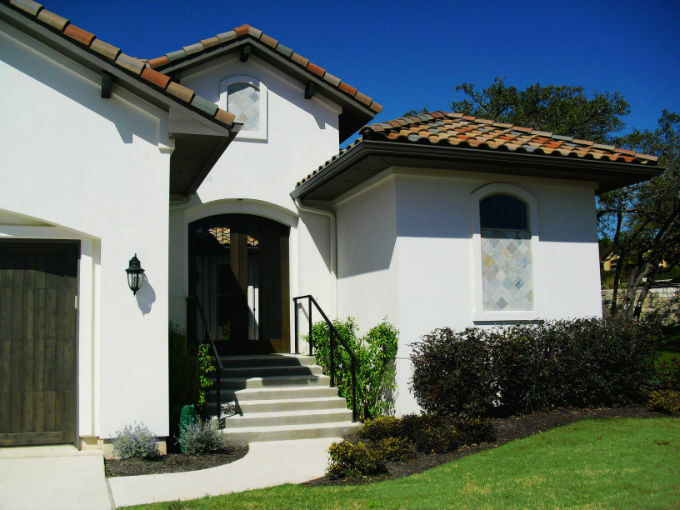 If you are looking for a Spanish style stucco house with a white stucco exterior, then a S-Tile or Barrel style in a reddish hue is often a popular choice, along with other elements that make for a Spanish style stucco house. Note: These are just a couple of examples of different profiles, there are more out there to choose from. ​Colors - Tile roofing can come in a solid color or they can have a gradient type of coloring to them, both of which can work well with a white finish. Different manufacturers will usually have a little bit different color schemes to choose from. Try to shop local for these if you want to save on cost as shipping can add up with the weight of these. 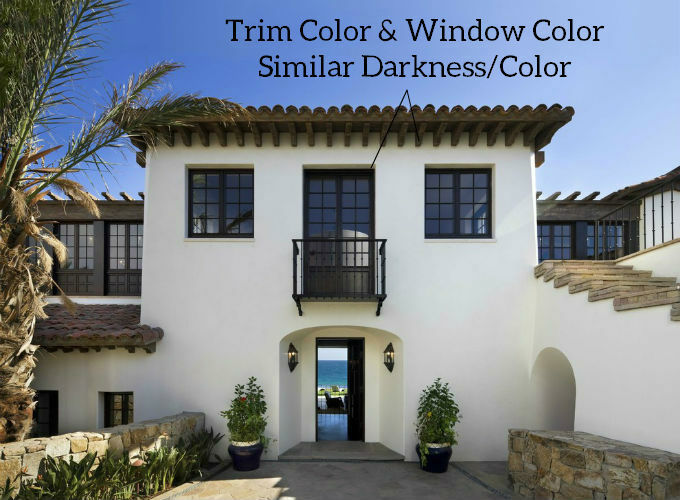 ​Window color is another choice you have to make when designing the outside of your home and with a white stucco exterior it is just as important. I tend to like the darker colors myself because of the contrast of the lighter stucco color. I have seen a dark brown, a black, darker grays etc. work very well for the darker color choices to give that contrast. I have also seen pictures of white windows that look okay too but there is zero contrast, which is what I didn't like personally but some people made it work nicely in the overall scheme. 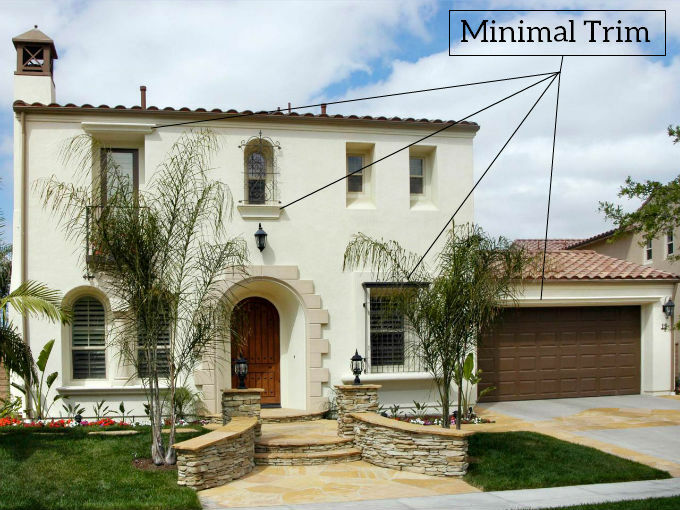 What Trim Colors Go With White Stucco? ​There are two types of trim that comes to mind when talking about the different trim colors and these are the trim around windows, doors and other places along the wall (usually foam popouts) and the wood trim along rooflines (fascia), gutters, etc. 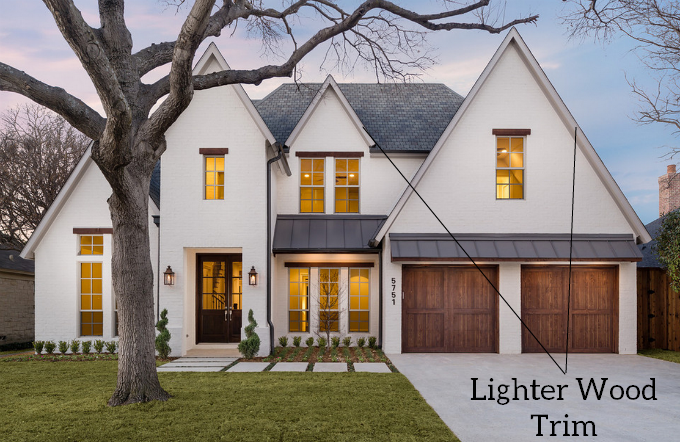 ​Window & Door Trim - I have noticed that some of the houses with a white exterior have no trim whatsoever (my favorite look) and others have minimal trim that is usually the exact same color as the stucco or a lighter color, in general. 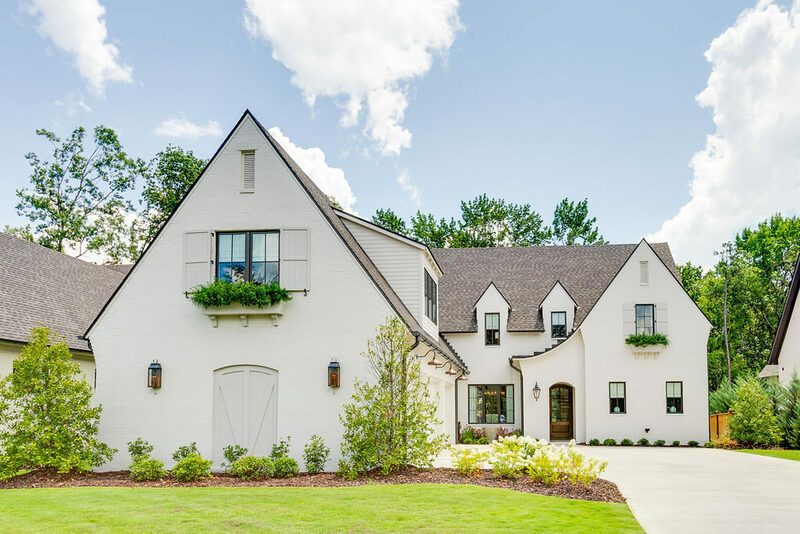 This is because a white stucco exterior is clean looking and too much trim around the windows and doors would take away from that simplicity factor. If the house does have a small amount of window and/or door trim then the color is usually lighter, as illustrated in the picture below. Wood Trim - The wood trim along the roofline (if any) is usually a similar or the same color as the ​​gutters, in most cases. 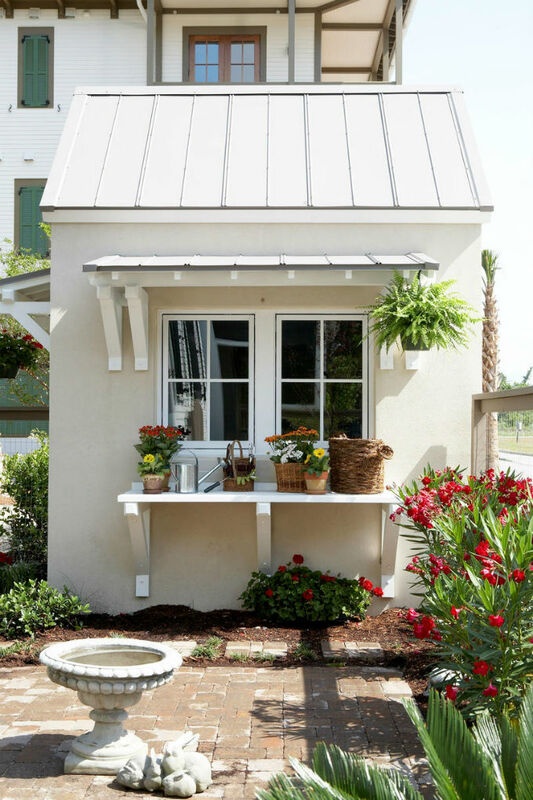 That seems to work well with most white colored exteriors. From what I have gathered, the trim is usually darker than the windows if the windows are a lighter color or the same color, if darker colors are used for the windows. This is the general concept and I think it goes well with the overall look and provides that contrast that so many people are looking for. ​Three Or Four Colors In Total Work Well! ​One thing I have noticed while researching this post and putting all of the elements that work together is the number of colors that most houses use in total. 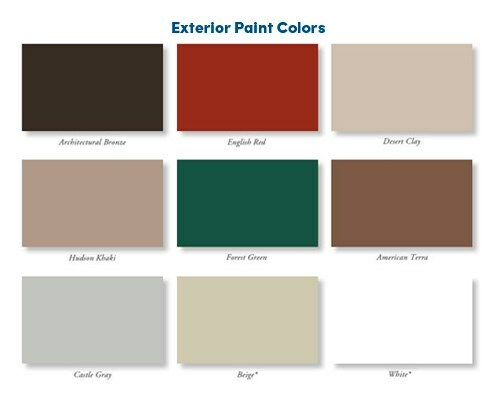 This includes window frame color, trim color, roof color, door color and stucco color. The magic number seems to be three to four primary color schemes and then usually a splash of color is added to the doors to accentuate those elements. Doors Are A Focal Point! ​Doors seem to have a a couple of different options that can work. 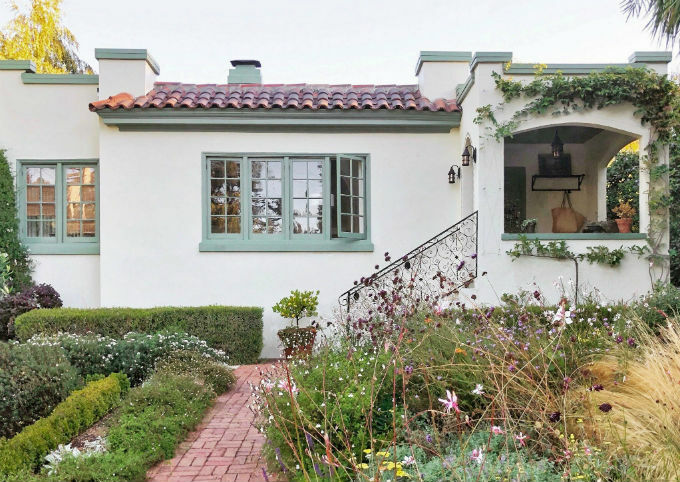 I have noticed two main similarities with with white stucco exteriors that I really liked and it made a nice focal point, if that is what you were going for. Custom ​Made Doors - If you have custom garage doors or a really nice custom made front door, then you will usually want them to be a different color than any of the other elements to accentuate them more. I have seen darker wood stains work very well for this, which examples are shown in some of the examples above. 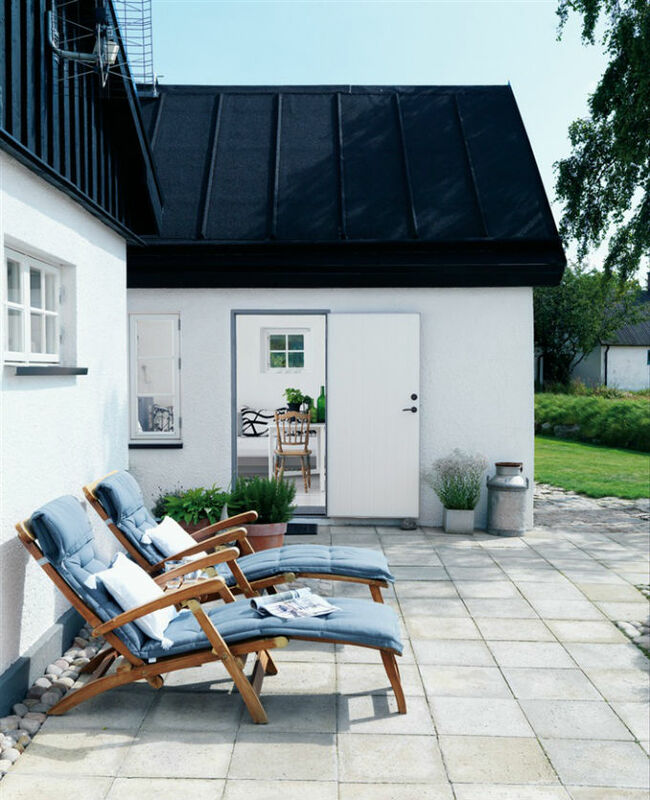 Simpler Doors - If you have a more standard type of front door or garage doors then a simple white or similar lighter color works well to keep the overall look more simplistic and clean. Note: These are just observations I have made myself and gathered together. There are always many different looks that go well together and people's tastes are different. Hope you found an idea or two in this post!